Yes, that IS mildly cranky! Aikiko sighed; the kid was still trying to be soothing, and asking for patience; he’d “remind the humans to offer proper respect” – but it was hardly surprising that the long-neglected angry god of volcanic disasters seemed to be irrationally hot-tempered. She couldn’t imagine a disaster god being overly patient. At least he was only gesturing with his blade of molten orichalcum – and she had to admit that it DID make a very dramatic pointer! Said angry god was currently pointing at a rough map of the coastline and environs shaped from the molten stone at the moment – sketching out where a tidal wave would be suitable or where a nice pyroclastic flow might go. At least that was only over a few smaller villages; the city was a bit far down the coast for a normal pyroclastic flow. Huh! Botheration! He was still doing his job properly! He was being nicely consistent about how things ought to go… He was just…. tired of restraining things for humans who had forgotten all about him and the others. It was hard to argue with that, but how could they know that they needed to pray when they didn’t know that he existed? Worse… the youngster was being entirely too honest! Rather than promising that he would have the mortals pray to the volcano gods, he was only promising that he would remind them of how important it was, rather than promising that they WOULD pray properly. That wasn’t going to help with a god; gods… wanted certainties. Not “I’ll give it a try!”. Now a nice pyroclastic cloud… THAT was a CERTAINTY. Still… that did sound awfully similar to someone else she knew! Trying to open a telepathic link with the boy got nowhere – so she fell back on walking over. Sure, it might make things worse – but it was difficult to see how! And time seemed to… stop around her, for everyone but him and her, as she started to talk – even if it would obviously be impossible to do anything BUT talk. It seemed likely that the kid wouldn’t want to do that – he WAS a Guardian, after all, but she’d feel remiss if she didn’t tell him how these things usually worked. (Shpaiki) Well, drat! Still… I suppose that there are at least a few who would try anything! Oh dear. Just like Charles! So trusting! Aikiko agreed – and watched time start to flow again as she stopped talking to young Shpaiki. She stuck close though; she wasn’t sure what defenses he had, and if he did need help she wanted to be nearby. Fortunately, Shpaiki was pretty persuasive, even if he wasn’t using UMI… He eventually got past Rikandithu’s ongoing rant. A bit of frantic checking showed that that was… twelve days, presuming he went to the exact dark of the moon. It could be eleven with bad luck. Still, either way, that was better than she’d really expected the kid to get! At worst, it would give them some time for an evacuation! Of course, after five hundred years… he might have been planning that timing anyway. Drama; the dark of the moon, the best time to display your volcanic fireworks, and the least time for warnings of the tidal wave. As the various Volcano Gods sank back into their sanctums, and their power passed from the chamber… the magma suddenly began rising, the mountain shuddered, and the tunnel roof cracked!. Oh, bother… that was probably Rikandithu’s lost temper manifesting as an eruption. Time returned as Shpaiki frantically ushered the two terrestrials through a gate that opened in a nearby crevice (Hm; the same energies as at the village! That pretty much clinched it!). After that though it only took a moment for Aikiko to realize that she had more and better athletics charms than Shpaiki – and his portals were obviously a lot like Charles’s basic portals. They only formed near him or his last location – so if HE didn’t get out physically… anyone inside would be stuck under a mountain! Gah! Aikiko grabbed Shpaiki once the Terrestrials had made it through the gate. Aikiko kicked in her Athletics Charms, Cheetah Speed from the Behemoth Cloak, and several other boosts to get up to a hundred miles per hour or so… even she didn’t dare go much faster than that through twisting, collapsing, volcanic tunnels. It meant going four-legged and bounding along with a younger teenager on her back – but if that was what it took, so be it! That led to a mad dash through the twisting tunnels, ahead of the oncoming blasts of flame and collapsing tunnels, leaping fire-belching fissures, diving through curtains of falling magma, running up the walls, dodging falling rocks or using them as stepping-stones (with many motes spent and various rolls), and evading assorted avalanches… Fortunately the vast majority of the damage couldn’t penetrate the Behemoth Cloak – although Shpaiki was not so lucky, and took some injuries (albeit nothing critical) from environmental hazards that he didn’t have defenses against yet. Sneakers and feet pounding the rock of the tunnels hard enough to generate sparks, and leaving a trail of shimmering sunlight as she ran, Aikiko leaped, turned, and bounced off rocks and falling rocks as necessary to come hurtling out of the tunnels just ahead of belching flames and a fountain of lava as the lava flows rolled out into the woods and the flames rose. Gah! If she was going to be doing THIS sort of thing a lot, she’d have to drop by Charles’s solar academy and see what she could pick up! At the moment though… she sent up some prayers in hopes of soothing the volcano god’s angry nerves. 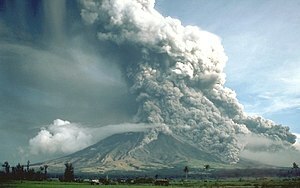 At least this wasn’t a full-scale eruption! It was just an expression of him being cross – a little (rather literal) venting. Come to think of it… Rikandithu was evidently a pretty powerful god! She didn’t want to see him when he was actually angry! Meanwhile, however, Giancarlo was very insistent about finding out where his younger sister was! Was she still trapped inside? Huh. From what little she recalled… it did work that way with some pocket-gate artifacts and with Sanctums – but a lot of other gadgets, like those packs that just held unreasonable amounts of stuff, were mobile, and Shpaiki had said that his gate travelled with him… Still, if the kid really did have a world-body like Charles, she didn’t want to just blow it for him if he wanted to keep it a secret. Explaining that they had roughly ten days to establish a substantial cultof the volcano gods wasn’t exactly easy – but it wasn’t totally unanticipated either. Giancarlo groaned. That was going to be fun trying to explain. They could probably convince at least some people to do it though – maybe more if they just faked something! After all, once it happened… it wouldn’t matter if the evidence that had led to an evacuation was flawed. Aikiko sighed… At least they had a little time – which was probably about the best that could be expected. She had to help Shpaiki get back to town though… It didn’t look like he was used to major injuries. This was going to be heck to explain to his parents! Of course, then they’d have to convince the god to ally up with Ahlat, and that it would be good for Ahlat… oh dear, she really wasn’t very good at celestial diplomacy. Hopefully it wouldn’t be making them magmathrowers… that might make more trouble for the local Terrestrials! Poor kid! Obviously enough, he’d been expecting that he could fix it – and was now rather depressed about it. At a guess, he’d rarely failed this way. She could imagine Charles feeling the same way! The kid perked up a bit with that – and started brainstorming ideas for getting to work on that cult… Still, if he couldn’t manage to make pretty good progress there inside a week… he’d have to start working on the evacuation. Also, seeing a doctor. Burns were PAINFUL. Aikiko checked to make sure that he had the cash for that – and noted that he had some divine aid anyway; he seemed to have a fair number of minor gods / “animal spirits” about. Were those his equivalent to Charles’s Devas? Nah, there were obviously fairly minor entities. Still, she’d have to introduce him to Charles. That way, they could give each other ideas! Shpaiki obviously kind of doubted that – but he certainly didn’t mind meeting people! Gah! Not only was Charles opening remote gates, but Aden was obviously even bigger than it had been on her last visit! Surely there had to be an upper limit! At least until it got to a comparison of inner worlds. For good or ill… Shpaiki’s only included a half a dozen manses, and only seven waypoints or so. It was still a nice place of hills and nature spirits – but it’s blatantly an auxiliary thing, rather than his major focus. Aikiko shrugged. It was really up to him whether or not he named it! Aikiko looked questioningly to Charles for that one. It wasn’t like she knew much about manses! Shpaiki had to admit that he didn’t; he hadn’t had much formal occult training. In fact… he seemed to be a lot more typically Solar; the power just came to him. That was interesting! Aikiko had to wonder what he was using instead! Sure, raw power could substitute for training in many ways – at least in Solars – but was he using his personal constitution (Resistance)? His strength of character (Integrity)? He… sounded a LOT more typical! He might have picked up some of the world-body tricks, and learned to grow a few manses – but FAR more of his charms were the kind of stuff that SHE’D started off with – excellencies in his persuasive and diplomatic skills, some basic defenses, and so on. All the semi-instinctive stuff – rather than being trained in thaumaturgy and sorcery and artificing from the very beginning like Charles. (Not nearly as much of an occult base to experiment with – it was hard to beat a grandfather who might or might not be a powerful supernatural being and had access to Yu-Shan – but basically… he’d been USING the power directly, not studying it and building. And that had made the difference in many ways it seemed – although he hadn’t been doing badly for himself at all! He was obviously pretty good in his specialty – but he was focused on getting along with people, not trying to rebuild creation. That gave her an idea! Not too unexpectedly, Shpaiki had never thought about it much. It did sound like a good idea, but how would you get there? With a nod from Charles (who was curious as to how it looked to other people anyway) – it WAS his plan after all! – Aikiko filled Shpaiki in on Charles’s plans for interstellar colonization. (Shpaiki) “That’s… pretty large-scale! And he’s doing this NOW? The thought was pretty obvious… he couldn’t be more than twelve! Charles cheerily provided the full list. It wasn’t like it was a secret – and there were several sites (mostly transit hubs or to-be transit hubs) where quite a few would be opening. Actually she had a hard time imagining how Charles could do that; he seemed to be trying to fix the entire universe in one go regardless! Huh! Shouldn’t she be more impressed? Nah! After all… he’d terraformed a world with what looked like less of a fuss! Charles threw in better armor (with environmental functions so he wouldn’t get burned again, albeit a bit less combative than the Behemoth Cloaks) and some inter-dimensional communications links, and other handy bits while Aikiko explained at some length. Actually, the next offer came in a couple of days later – offering Aikiko a role in “Samurai-X” – a sort of X-Men / Samurai movie featuring quasi-superheroes defending Japan against a Demon Onslaught. It would have lots of “casualties” and a final grim triumph at a great price! Aikiko was being offered the part of one of the younger “students” with explosive energy powers who would “die” most heroically holding one of the dimensional breaches long enough for her boyfriend to seal it with HIS powers. He too would die later on, looping a gate into the sun to strike back at the demon world in her memory. Aikiko took it of course; Superheroes were fun, especially when you arguably were one! And a heroic death was a LOT better than dying like a chump! It wasn’t at ALL a bad part, even if it did call for more athletics and martial skills than pure acting. Still, that was her skillset at the moment and the casting director really was quite good at it. Might as well use his rising young star! Besides, it was always good to have a source of income that wasn’t connected to a supernatural realm – and acting in major films did pay quite well! And she could do her own English dubbing, which was a BIG plus! It sounded a lot better and was easy on the budget! And… if it got her more attention from Mechagodzilla, at least she now knew that he had SOME idea of covert operations – even if it WAS donning a fey artifact hat. Of course… the entire idea of Stealth-MechaGodzilla is MORE than silly enough to qualify for fey attention. Lytek was pleased, if a bit shocked, at Aikiko’s first Solar Guardian find… He’d really been rather hoping that the entire world-body line of development would be something more-or-less unique to Charles! While this boy seemed to be FAR more typically solar in most ways, and his world-body was minuscule and terribly undeveloped in comparison to Aden, the fact that he’d started developing one – and a small population of divine allies – more or less INSTINCTIVELY argued that either HE’D unleashed something with his tinkering – or that Charles had somehow created a new path of transcendence which was now open to anyone like him! Meanwhile Aikiko, with different – but probably not fewer – worries was off to Kyrgyzstan. That report didn’t really sound much like another Guardian, but it CERTAINLY sounded like something that needed to be dealt with! Charles was still shying away from speculations about Devon – and from trying to find out just what had happened to him. He WAS awfully busy – and it was possible that Devon had planned it that way – but mostly he was nervous on the topic of Devon because he wondered just how much of his life Devon had pre-planned. Had Devon planned out his next exaltation, picked him, and made sure to set up most of his life? Was he currently hanging around making sure that Charles’s life went according to plan? It would be hard to put much past a solar sorcerer with 40,000+ years of experience and Devon was known for his dedication to order and planning and for his connections to the pattern spiders. For all HE knew Devon was still around, and had just made a NEW exaltation of his own design (after all, after a mere six year’s HE’D come surprisingly close) and given it to him – which would be why it brought no memories and such – and he was just an ultimate diversion; it might not be beyond a 40,000 year old solar sorcerer to transfer the lunar bond too… He might even have made new exaltations open to tinkering! He would know that Lytek would have a hard time resisting tinkering, even if he hadn’t known about the Curse – and it was hard to see how anyone missed that!